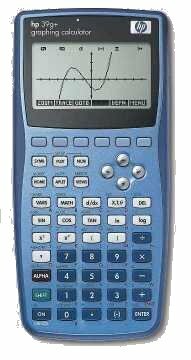 The hp 39gs, hp 40gs and the older models (hp 39g+, hp 39g, hp 40g, hp 38g) are great calculators but to use them effectively you really need to have the tools, information and programs that you can find everywhere on this site. This website is dedicated to helping users of those models. Their ability to use aplets make them an invaluable tool for students of mathematics. If you need to learn how to obtain, download and use these aplets then see the Help page above. If you'd like to see what's available then click on the Aplets link. Need software? See the Utilities section. I'm one of those who have updated to Windows 7 64-bit and I found that the Comms software would no longer work due to the USB drivers being only designed for 32-bit systems. The good news is that you can now download drivers for 64-bit systems from HPs site here. Just click on the small blue square next to "Operating System (1)" and you'll find a link to allow you to download the file "HPCalculatorUSBSetup.exe". I get the impression that this contains drivers for all operating systems but whatever the case, it certainly worked perfectly with my Win7 64-bit system. Unfortunately, as I have reported many, many times before, there's still no news on an upgrade to the old ADK39 programming tool. It will not even install under Windows 7 64-bit. I've been recently informed that HP are going to try recompiling the old ADK39 using a new compiler. If this works then it should be compatible with 64-bit systems. Of course it'll still be the old clunky software but... we can't have everything. In case you're wondering about the project I mentioned some years ago to produce a combined Connectivity/Note Editor/Programming Tool? It stalled and was never released. Please let me know of any links or images that aren't working. As always I appreciate feedback. Is there something that you feel should be there and isn't? The official 39gs HP website. HP Aplets on their site. Note that you can find all of them here plus more! Got a question? Before you send me an email, try my Freq Asked Questions page. Please note: I am NOT paid by HP to answer questions! I'll try to help when I can but I am a full time teacher and I do it out of the goodness of my heart. Be polite and be patient! Disclaimer: This site is not affiliated with or endorsed by Hewlett Packard. Yes, I have worked for HP in the past and still do contract work for them occasionally (testing, writing and training) but I am currently a full time mathematics teacher. Don't take anything said here as representing HP policy!